Washington State is a hotbed of technology companies, many of them global trendsetters. It is only natural that leaders like Amazon, Microsoft, and F5 (to name a few) are major influencers and are listened to. But there are a lot of small technology companies in the region as well, many of them doing amazing things. WTIA provides a cohesive, overarching, and clear voice for all of us that alone, cannot be heard. Be it labor, education, or policy issues, the WTIA enables the small to act big. That is why BoldIQ joined WTIA and that is why Roei Ganzarski, BoldIQ president & CEO sits on the advisory board. 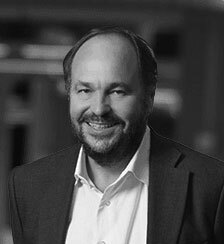 Paul Maritz, the former chief executive at VMware VMW -2.56% and Pivotal after a stint as a top exec at Microsoft, is joining the board of BoldIQ. The Bellevue, Wash. company focuses on helping companies allocate and schedule big, expensive resources—airplanes, trucks, medical technicians—efficiently, using technology built at Dayjet, a company that helped business people share private jets. Maritz has history here. He invested in Dayjet, which had great technology but bad timing. “The short version is that I inherited BoldIQ out of Dayjet which was ahead of its time, trying to be the Uber for the private jet business 15 years ago. Unfortunately, it didn’t survive the crash of 2008,” Maritz told Fortune in an interview. But Dayjet’s scheduling and logistics technology lives on in BoldIQ. The BoldIQ-Uber comparison only goes so far, Maritz said. “Uber doesn’t require as complex a model because it draws on a huge number of drivers. The air taxi business deals with precious resources. Being able to efficiently schedule them to get more than one passenger on each plane required advanced software,” he noted. BoldIQ, which has raised just under $8 million in venture funding, is applying that technology to all sorts of businesses including freight delivery, home appliance repairs, hospital staff scheduling, and, yes, aviation. The appliance service model is illustrative. In the Seattle area, one unnamed BoldIQ customer is able to perform 1000 home appliance service calls per day using 100 technicians. “We have to make sure two things happen, one that the company can provide most of the services needed and two how to do it in a way that’s timely for customers and prevents overwork by employees,” said Roei Ganzarski, chief executive of BoldIQ. Using BoldIQ, service companies can schedule repair calls on the fly so if one technician calls in sick or shows up to an empty house, the schedule can be adjusted accordingly, said Ganzarski. BoldIQ competes with products like IBM’s IBM -0.01% iLog optimization engine as well as home-grown solutions. “We also compete with not-invented-here syndrome,”Ganzarski said. His take is that BoldIQ can help aircraft companies, hospitals, and doctors schedule resources in a way that’s more efficient for both the provider and the consumer of the service, without any of those providers having to build their own scheduling system. So what’s BoldIQ’s secret ingredient for handling all this complexity? “Russian rocket scientists,” Maritz and Ganzarski said almost in unison. “We’re not kidding,” Maritz added. The company’s team profile does indicate the presence of quite a few Russian techies.. The company claims JetSuite, GlobeAir, and Jeppeson, a unit of Boeing BA -0.76% , as customers. “If you can help an aircraft operator cut 50% of costs and make 20% more flights, everyone wins,” he noted. BoldIQ takes a cut of any savings. Businesses can run BoldIQ’s software on Amazon AMZN 1.18% Web Services, Microsoft MSFT 1.86% Azure public clouds, or on their own internal systems, Ganzarski said. BoldIQ is at a key inflection point. Over the last year our business has grown, we have expanded into new markets, grown our employee base and provided services in the cloud, pioneering optimization as a service. I can’t think of a better time to welcome Paul Maritz, technology visionary and former CEO of Pivotal and VMware to join BoldIQ’s Board of Directors! Paul was an initial investor in BoldIQ and quickly realized the enormous potential and promise of our technology across a number of industries. Now in an official leadership position, Paul’s cloud and global service-based experience will be invaluable to our future success as we begin to expand globally with cloud-based solutions. Paul brings more than 30 years of technology leadership experience to BoldIQ. Before leading Pivotal and VMware, Paul was President of the Cloud Infrastructure and Services Division at EMC after the company’s February 2008 acquisition of Pi, where he was the founder and CEO. Before founding Pi, Paul spent 14 years working at Microsoft, where he served as a member of the five-person Executive Committee that managed the overall company and was responsible for the product development and marketing of the Windows Client. Paul is noted for his vast knowledge of cloud-based offerings and a vision. Bill Gates once said he had a “major impact not only on Microsoft but on the entire computer industry.” Paul’s guidance and expertise will help BoldIQ continue to disrupt how companies think about and act on their operations. You can view the official press release here. You can also view a GeekWire story here and a Fortune story here. Paul Maritz, the former CEO of VMware and Pivotal Software, has joined the board of BoldIQ, a Bellevue, Wash.-based company that makes technology to quickly and efficiently schedule everything from trucks and planes to doctors and nurses. Maritz, who made his mark as a high-ranking Microsoft executive, overseeing landmark versions of Windows, was an original investor in BoldIQ. The company’s technology traces its roots to DayJet, an on-demand business airline in which Maritz was an investor. DayJet folded in the 2008 crash, but the need for dynamic resource scheduling has only grown since then, Maritz said in an interview with GeekWire. Maritz, who turned 60 last year, remains executive chairman at Pivotal but has taken himself out of day-to-day operational roles, freeing himself up to pursue a handful of for-profit and non-profit projects, devoting more time to investments that he has made over the past 10 years. On the non-profit side, for example, he’s the chairman of the board of the Mifos Initiative, an open source financial software platform. BoldIQ is in the process of expanding its technology to a wider variety of industries and companies. Roei Ganzarski, the company’s CEO, described a test with a technical services company that was able to reduce, by 10 percent, the number of miles driven by its technicians, while also offering more reliable scheduling for customers. The company will be offering those types of capabilities not only to large companies but also as a cloud-based service to smaller businesses that wouldn’t have the technology infrastructure or financial wherewithal to do dynamic scheduling on their own. “Think of it as commoditization of optimization, if you will,” Ganzarski said. The company’s most recent funding round was $3 million, raised in 2013. BoldIQ has 16 employees, but that reflects the fact that company outsources non-core functions such as marketing, public relations, finance and accounting, Ganzarski said. Maritz is the largest individual shareholder in the company, which is cash-flow positive. BoldIQ Inc., a global provider of sophisticated dynamic scheduling software, today announced technology leader Paul Maritz, former CEO of Pivotal and VMware, and former SVP of Microsoft, has joined its Board of Directors. Maritz was an initial investor in BoldIQ and brings a strong background in cloud-based technology and global service-based experience at a pivotal time for BoldIQ as it expands globally with cloud-based solutions. BoldIQ’s technology is currently used to significantly increase operational efficiencies. BoldIQ has helped its customers in complex business environments drive significant increases in productivity, decreases in operating costs and increases in their revenue-generating capacity.